No one really knows where to put investment dollars anymore. 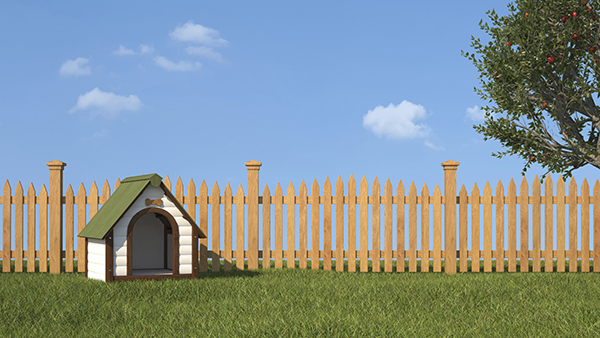 Are investors looking for capital gains, or are they looking for income and safety? No one really knows where to put investment dollars anymore. At the most basic level, investors tend to be most fraught with choosing between equities and fixed income. Are they looking for capital gains? Or are they looking for income and a safe haven for their portfolio? Traditionally, investors wanting to have both these goals satisfied simultaneously have used balanced funds or equity income funds. These are portfolios of higher dividend equities and more conventional bonds. But instead of trying to accomplish this goal by simply mixing different proportions of what most investors can buy on their own, why not use an asset class that is inherently unlike either ingredient? Below investment grade, or high yield bonds, have historically been more correlated with equities than investment grade bonds. Yet they carry a substantial pick-up in income over both more traditional asset classes. Over the past ten to fifteen years, this asset class has become more global. It is now a much larger asset class with a set of issuers and investors that spans more parts of the world than it did before. Like many other newer asset classes, this recent entrant is often misunderstood. But it tends to be these asset classes, the ones that get less of the limelight, which can make the most attractive investments. What makes global high yield unique is the way it behaves. We like to look at it as a high dividend, low beta* equity. In simpler words, it’s a fixed income asset that acts like an equity one: not fully one and not completely the other. Think of it like a third asset class. In the past decade, global high yield returned higher than several stock market indices, including both the S&P 500 and Russell 2000, according to Bloomberg data. Moreover, annualized returns have been about 3% higher (double in some cases) than other fixed income assets including 5-year and 10-year Treasuries. Global high yield bonds also have a lower duration than several other types of bonds. Duration measures bonds’ sensitivity to interest rate movements. While global high yield has provided very competitive returns along with asset diversification, it is not an asset class that is amenable to frequent trading. It requires a more strategic, rather than tactical allocation. While global high yield can provide income and more stability than is typical of equities, it is still more correlated with equities and can therefore be more volatile than higher quality bonds. Rising interest rates can also potentially introduce an element of volatility, but the fact that rising rates are normally associated with improving economies should make these periods more like shorter term tantrums than a real illness. So global high yield calls for investors who can think and stay long-term minded. Focusing on the long-term strategy means investors need enough resolve to avoid much of the market noise that will frequently drum itself up over the years. An example of such “noise” today would be concerns over liquidity. The high yield asset class, including its global extension, has always been a relatively less liquid asset class than its larger neighbors – and investors have been paid well in excess of default costs partially in recompense for this difference. This is not to say that global high yield is entirely without risk. It is more illiquid, for example, than government bonds or the S&P 500. Bond covenants can have an impact on ultimate returns far out of proportion to their subtlety. Groups of quasi-insiders can sometimes maneuver to the disadvantage of others. Most of all, the leverage that defines issuers in this market can make returns more sensitive to unforeseen shifts in their competitive position. This third asset class is one that can accomplish the seeming contradiction of “growth and income” with a globally diversified group of investments. It’s one whose correlations with the “growth” in equities and the “income’ in bonds is more than just a weighted average of the two. Now that is a third asset class to pick from. *Beta measures the volatility of an investment or a portfolio relative to the market as a whole. Non-investment-grade debt securities (high yield/junk bonds) may be subject to greater market fluctuations, risk of default or loss of income and principal than higher-rated securities. In the United States, Aberdeen Asset Management (AAM) the marketing name for the following affiliated, registered investment advisers: Aberdeen Asset Management Inc., Aberdeen Asset Managers Ltd, Aberdeen Asset Management Ltd and Aberdeen Asset Management Asia Ltd, each of which is wholly owned by Aberdeen Asset Management PLC. “Aberdeen” is a U.S. registered service mark of Aberdeen Asset Management PLC.